What is so amazing about Grace? : When the church becomes obsolete? When the church becomes obsolete? The Telegraph recently ran an article with the following headline: Church of England considers Christmas-only parishes. It discloses that about 2,000 churches – now have fewer than 10 regular worshippers. At the same time parishes collectively spend about £160 million a year on maintaining their buildings. 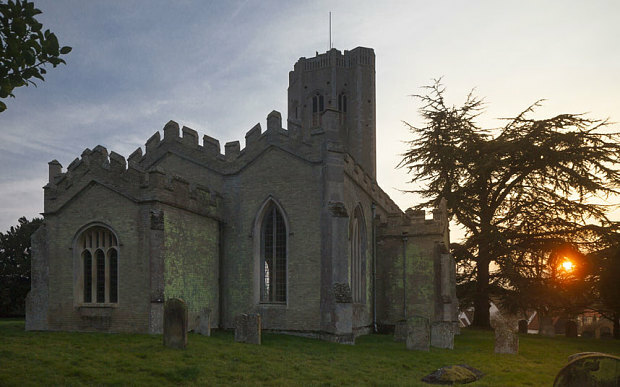 These rural churches have been hit by a general decline in UK church attendance but the main reason would seem to be population shifts over the years leaving some once-thriving churches effectively marooned in the midst of fields. I suspect that these church buildings, now obsolete, were celebrated wildly on their opening. Loyal Christians sacrificed and invested their hard earn cash to build a great building that would be used to worship Jesus and make his name famous in their locality. But these buildings have not stood the test of time for the vision behind why they were built. (Although many of them still look amazing). They belong to a bygone era and don't really lend themselves to the requirements of the church today. Their maintenance bills are huge, uncomfortable and difficult to heat. And by enlarge because of advancement in travel and the move towards cities many of them don't even have many people living nearby. The building has become obsolete. However the Church of Jesus Christ is not defined by bricks and mortar. His church is living and active through His people. Our buildings are useful but they are not the mission. People are the mission. Let us use our buildings where ever possible to connect us with people, becoming the hub of our communities, while we have them, but in a 100 years they will likely be gone or as obsolete as these village parish churches that are scattered around the English countryside, looking incredible, but serving little or no purpose. But let us invest our time, talent and treasure in people and in particular the next generation so they will grow up, take the baton, and see a glorious church built that will never become obsolete. When our best is not good enough?